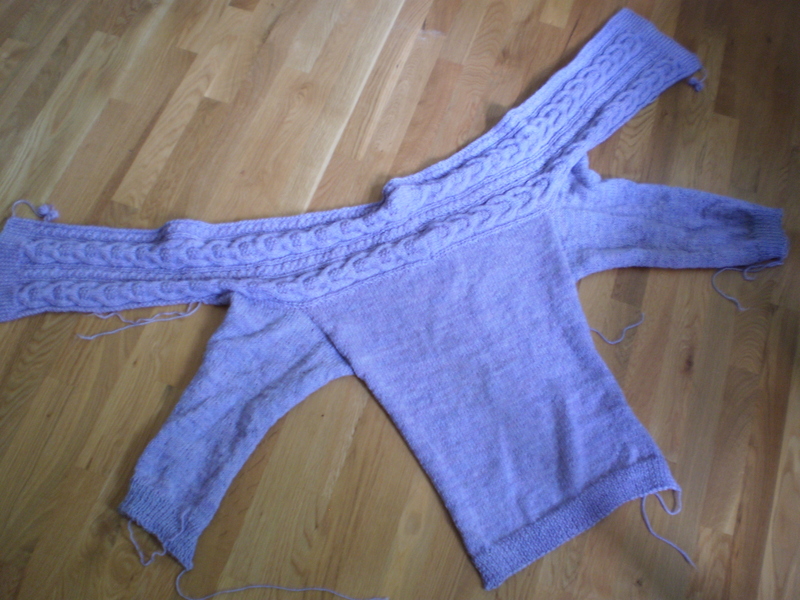 Or at least I finished the knitting part! My Stranger Cardigan is all knit up, and you hardly even notice that the sleeves are a different color than the rest of the sweater. But, wait, a little origami, and Hey Presto! A sweater! Now I’ve just got to sew up the underarms and block the bejesus about of it. I’m so close I can taste it! 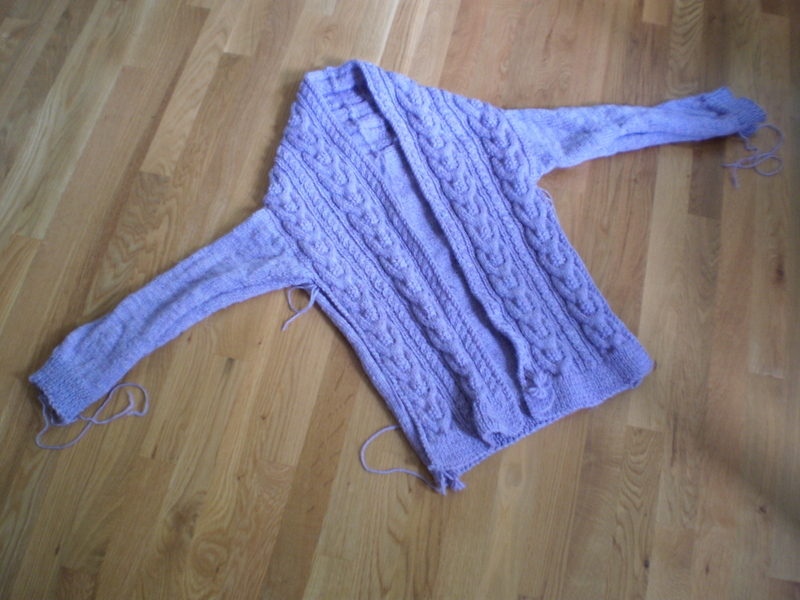 This entry was posted in On My Needles and tagged blocking, cable, cable sweater, finishing, seaming, stranger cardigan, sweater on July 20, 2016 by onemilljellybeans.